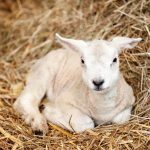 Watch our Lambing Live EweTube! 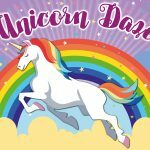 4 – 6 May Meet the Unicorns! The National Forest Adventure Farm offers exciting indoor fun, outdoor adventure and farm animals. The farm hosts many events throughout the year including Easter Activities, huge summer Maize Maze, spooky Halloween daytime fun, scary night time Halloween Screamfest and Christmas celebrations. The National Forest Adventure Farm started life as the National Forest Maize Maze back in 2004. 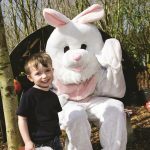 Each year has grown and grown until the Adventure Farm opened as an all year round attraction in May 2011. ***** One of our favourite places to visit, rain or shine there is always something to do! One of the best soft play areas around as well. The staff are always friendly and helpful. ***** Perfect day out with children. Lots to do.There is a lot to do both indoors and out. The indoor play area was great with a variety of slides and other obstacles. ***** Fantastic day out loads to do without feeling rushed and pushed loved seeing the animals up close. ***** Wonderful Day out. The staff are very good and there is something for all ages. I wouldn’t hesitate to recommend the Adventure Farm, I love it. ***** The indoor soft play is one of the best we’ve been to, staff are always friendly and helpful, we will definitely be coming again soon, keep up the good work!! ***** WOW. We had a fantastic time! It helped that the weather was great but there is so much to do to here keep the children (and adults!!) entertained. ***** Can’t rate this place enough! Had 3 worn out boys after our visit today…didn’t have time to do everything. Such a lovely day! ***** Excellent fun day with the family!This place is not just for children it really is fun for the whole family. ***** Had my little boys 4th birthday party here today! Absolutely outstanding would definitely recommend this place. ***** Great place for families. There so much here for children. ***** I love this place. Good for all ages, I enjoyed it as much as the kids. ***** Worth the entrance fee. There is so much to do that I don’t think we did it all! ***** Absolutely brilliant for the whole family. Loads to do and a great affordable price. Clean, tidy and plenty of seating indoor and outdoors. Friendly staff. ***** Fun filled family day out. We had a great time. The kids loved every second of it and were never without something to do! I would go back again. ***** Had a brilliant day today took us the whole day to enjoy all the activities on offer. Would definitely recommend. ***** Love this place! We never stopped – my 10th visit this year! A season ticket will be on the cards I feel!! Have you visited us recently? Did you enjoy your visit?